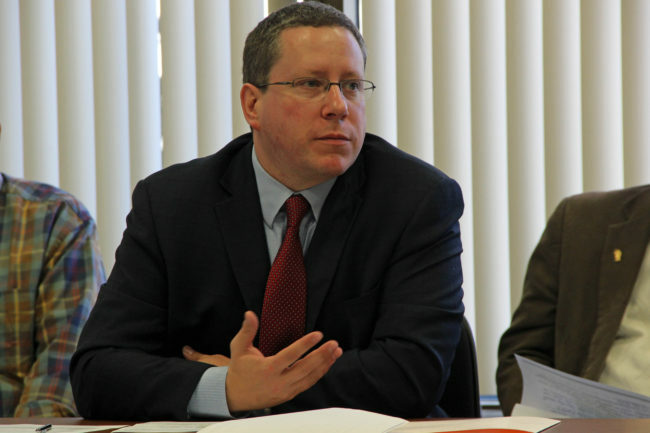 Alaska’s former attorney general has a new job. Craig Richards will be the vice president and general counsel for the Bering Straits Native Corporation. Richards said he looks forward to serving the Nome region. “Really, what convinced me that it was the right place for me was just meeting everyone and seeing what a good rapport and good team environment they have, and the ability to help out the Nome region,” Richards said. Gov. Bill Walker’s spokeswoman Katie Marquette said Richards’ work has ended. Richards declined to say what his new position will pay. Richards was a close adviser to Walker on the proposed natural gas pipeline and on Walker’s plan to solve the state government’s budget crisis. He said he’ll miss working in the upcoming legislative session. Richards said his new job won’t conflict with the state law that bars former state officers from working for two years on matters that they participated in personally and substantially. He said his new duties will be very different than his old job. He’ll report to Corporation President and CEO Gail Schubert, provide counsel on legal matters, ensure legal compliance and oversee risk management.